Summary. The article is devoted to actual problems of phenomena of economic identity of the region and the brand of region. We present some results of the interdisciplinary expert survey “Bottom-Up: How the Economic Identity of the Region is Manifested in the Socio-Economic Behavior of the Individual-2016”. 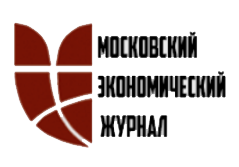 The main purpose was to detect and record the effects of an economic identity of the region in socio-economic behavior of individuals in various regions of six Federal Districts of the Russian Federation. Also, we discuss the situation on the creating the brand of the territory. Keywords: economic identity of region, expert interview, interdisciplinary approach, brand of territory, regional branding. Funding. 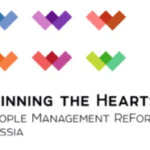 This article was prepared with the financial support of the Russian Foundation for Humanities, the project № 15-02-00441/15 «Economic identity of the Russian regions: Conceptualizing the notion, development of tools for measuring and comparison, and inclusion in regional brand management”. Nowadays, globalization has seriously aggravated the problem of identity on different levels (personality, region, country) in different fields (culture, politics, etc.) of society. In the face of fierce global competition in a consumer society the issue of identity is very serious. In the global competition, actively involved countries, regions, other territorial formations. All this actualizes the problem of “regional identities” through the identity of the regional society. Another important direction of research is the “economic identity” of society. This direction relates to the development of interdisciplinary relations and the emergence of new areas in the economy such as economic sociology, economic psychology, institutional Economics. Identity get economic content, for example, embodied in the regional brands and the brands of the regions. In early studies (Bazhenova & Bazhenov, 2015) on an interdisciplinary basis, we formulated the basis for the formation of the scientific concept of “economic identity of the region” (EIR). This socio-cultural phenomenon is of synthetic nature. It has been shown that the economic identity of the region is formed because of the economic identity of the individual from the regional community in the cognitive, value and emotional spheres and manifested in the economic behavior of regional actors and their social wellbeing (Kleiner, 2015b). Next, we show the interrelation between the economic identity of the region and the brand of this region. For this, we consider the brand from several points of view. First, as an object of cultural heritage and history, as well as a complex of impressions, opinions and judgments, causing the associative lines. Secondly, as the style, way, meaning of life, having social value, an example to follow. Finally, as a means of communication and interaction in a consumer society. According to Bazhenov (2015), economic identity of the region (EIR) is the result of aggregation of mutually superimposed field generated by economic and regional identities of the individual. Also, EIR is formed at a cognitive level of socio-economic system of the region. It is manifested in the economic behavior of regional actors and their social wellbeing” (Bazhenov & Bazhenova, 2015). The methodological basis for the development of the EIR’s construct is a systemic economic theory (Kleiner, 2015a). According to Anderson (1991), we define the regional identity (RI) as the perception of the individual himself as a representative of a certain “imagined community”. This perception is based on the unity of the territory of residence of the representative, history and traditions, social and cultural experiences, values and attitudes, as well as a certain lifestyle. Economic identity (EI), considered as part of the economic backbone of identity, is a psychological category that reflects the result of the determination of man’s position in the system of economic relations, relations of ownership, and the basic relationship of the individual in the economic sphere (James, 2011). Economic identification is a prerequisite of social behavior personality, and the basis of the formation of her personal identity in the context of economic and social self-representation of the individual as an economic entity. The basic structure of the EIR consists of four components. The Cognitive Component of the EIR contains a formed on the basis of the identifying signs of knowledge about the regional and economic communities. Value Component reflects the presence of positive or negative attitudes to the fact of regional economic facilities, the resulting Emotional Component is expressed in the acceptance or rejection by the subject of a defined community as a group of its membership. Activity-Regulatory Component reflects the ways socio-economic behavior, the specific practice of economic orientation of the individual in the regional space. We have examined the system structure of a region allocated to sub-system layers which form the mental-institutional and functional framework of the region. We can assume that as the formation and manifestation of the EIR occurs in all the layers, each layer performs this process function, solves its task. For example, in the mental layer, the interpretation by individuals of various socioeconomic phenomena occurring in the region and formed the so-called “regional economic mentality”. In the cultural layer, there is a formation of economic culture of the region. The institutional layer forms the institutional environment, the institutional environment, a “landscape” for the implementation of economic relations, the implementation of production-economic and other regional social activity. The cognitive layer is responsible for the direct formation of the EIR, with the result of its functioning is the cognitive basis of the socio-economic knowledge of the regional individuals and also the formation of the cognitive mechanisms underlying individual-group peculiarities of economic thinking individuals formed certain regional cultural and institutional environments of the region. The brand is a collection of utilitarian and symbolic values, designed to meet the functional, social, psychological, economic and other needs of the consumer (Arens & Bovée, 1994). The concept of the brand can and should be viewed as a phenomenon of social space, approaches to the interpretation which lie in various planes of the ontological field of branding. The brand is “the sum of people’s perceptions about a country based on an unique, multi-dimensional blend of elements about the different competences of a country such as the cultural, political, commercial, tourist appeal, investment potential and human assets” (Anholt, 2007; Melewar, Gupta, & Dinnie, 2013). At the same time, the brand is a collection of utilitarian symbolic values, designed to meet the social, psychological and economic needs of the consumer. It reduces the risk and complexity associated with making a decision about his choice and generates expectations of consumers, who are confirmed by time and reuse practices. The main features of the brand identity is branded signature attribute (complex visual, verbally, tactile elements). They are built into the associative array of personality, as an intermediary between the actual product and the properties of the individual consciousness, giving a special specific content. The brand also serves as an object of cultural heritage and values of the person. In the first case, it communicates to the environment all the values and aspirations of life that are relevant to the present moment and society. The brand’s value gets into the thinking of the person on an unconscious level and is manifested in the form of conscious as preferences, attitudes and aspirations. Thus, under the brand in the economic sense we mean an identifiable image of a material object or service in the minds of consumers with the associativity and integrity that allows us to distinguish and select a particular product and/or service. Thus, we define a brand as an abstract representation of anything or anyone (product/ company/ personality/ belief/ idea/ territory) based on the aggregated mental image of the individual, group of people or a social institution that organizes the relationship of actors in society and actively influences on formation of objective reality. From the perspective of Modern Psychology, the category of “brand” is regarded on two basic levels: (1) the level of individual mental processes and personality (Cognitive and General Psychology), and (2) the level of large and small groups (Social Psychology) (Groshev & Krasnoslobodtsev, 2013). Contemporary sociology includes the consumption to a socio-cultural phenomenon. People use branded items for identification and differentiation of themselves and others. In this regard, in modern society, the process of branding is of particular importance. outside of goods, the brand becomes a separate object of social cognition, for humans as consumers, and for sociology in General. 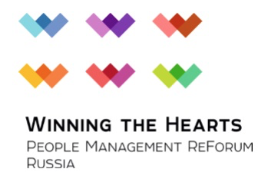 The main goal of this expert survey was the fixing of the manifestations of the economic identity of the region in socio-economic behavior of individuals in the regions of Russia. The object of the expert survey in the direction of “South of Russia” were four main groups: (1) “The Slavs/Orthodox” (Russians), divided into three subgroups: “North”, “Central”, and “South”; (2) “The Turks/Muslims” (Tatars, Bashkirs, etc. ); (3) “The Caucasians/Muslims” (Dagestanis, Chechens, etc. ); and (4) “The Finno-Ugric peoples/Orthodox” (Mordvins, Komi, etc.). The subject of the expert survey was the relationship between the phenomenon of economic identity and models of economic behavior with social and cultural factors in these groups. 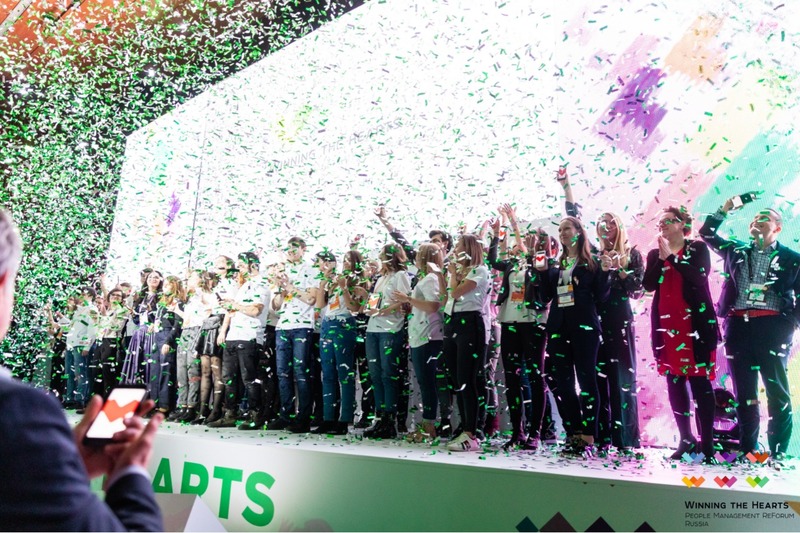 So, some brief conclusions could be made about the results of the empirical evaluation of the economic identity of the region in six regions of the Russian Federation. The positive or negative direction of cognitive, value, emotional components in the structure of the EIR is naturally manifested in the activity component, in certain behavioral patterns of the members of the regional community in relation to its region. In our opinion, this trend affects the growth of human capital of the territory and the effectiveness of impact, as well as on the competitiveness and sustainability of the region. Active promotion of the values of the positive economic identity of the region, in our opinion, provides consolidation of the population and territories of the Russian Federation. Thus, the economic identity of the region increases the level of regional and national competitiveness. We have got a powerful acknowledgment of the importance and relevance of the research of the economic identity of the region at the present stage, and a more detailed analysis of the results will be the basis for further research. Arens, W. F., & Bovée, C. L. (1994). Contemporary Advertising. McGraw-Hill Education. Dzhejms, U. (2011). Psihologiya. M.: Akademicheskij Proekt, Gaudeamus. Anderson, B. (1991). Imagined Communities: Reflection on the Origin and Spread of Nationalism. L., NY: Verso.